Located in the gorgeous city of Salzburg Austria, the city is home to Mozart, Red Bull, Stiegl beer and my mom's favorite The Sound of Music. 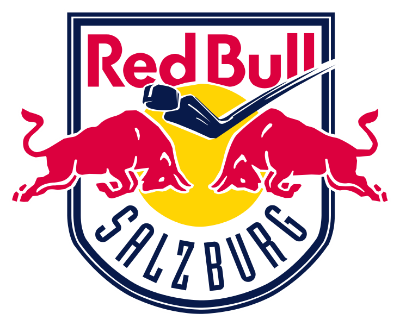 The city is also home to one of the most successful ice hockey clubs in Austria, EC Red Bull Salzburg. If you didn't figure it out by the name, the club is operated by the Red Bull Energy drink empire. Resources are clearly not a problem and it reflects in both their product on the ice and the professionalism off it. These guys are the New York Yankees of the EBEL. They have the highest budget, attract the best players and are expected to win every year. Red Bulls presence can be felt throughout the entire league. Whether it's the tv contract with ServusTV or raising the quality of play in the league, Red Bull sets the standard for which the other EBEL clubs have to measure themselves against. They are 5 time EBEL champions (including last seasons title) and won the European Trophy in the 2011-2012 season. You can read a full history of hockey in Salzburg here as well as the history of how Red Bull took over the club here. For all our Colorado College readers, this team is a must follow as they have featured former Tigers Lee Sweatt, Mike Boivin, Mark Cullen as well as Brett Sterling and Brian Connelly who are currently on the team. Also current Tiger assistant coach Gene Reilley used to work for the club before returning to North America. You can click here for the 2015-2016 Red Bull roster. Also ICYMI here's a little rapid fire question and answer with our boy Brian Connelly. Follow along with the EC Red Bull Salzburg season by staying up to date with their Facebook, Twitter and Instagram pages.